We have now introduced the latest and most advanced whitening system available – ZOOM! WhiteSpeed LED light technology. 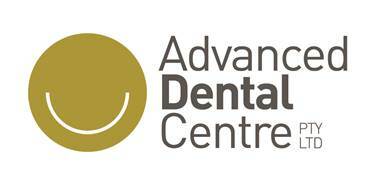 Advanced Dental Centre Adelaide is a fully-accredited ZOOM! Teeth Whitening Centre in Adelaide, offering the very latest light-activated technology of ZOOM WhiteSpeed. Clinically proven to whiten teeth by up to eight shades in one visit with superior light technology which has decreased tooth sensitivity. ZOOM WhiteSpeed removes all signs of staining to give you a bright, white smile within a couple of hours. After applying a bleaching gel to the tooth surface, we activate bright light technology to remove the tell-tale signs of coffee, tea, red wine and smoking. You will also receive the ZOOM! Home Maintenance Kit to ensure your teeth stay whiter for longer. 01 What is Zoom! WhiteSpeed Teeth Whitening and how long does it take? The WhiteSpeed lamp can be adjusted according to the individual patient’s needs, with its low, medium, and high settings allowing for full customisation of the teeth whitening procedure. Most patients experience LITTLE TO NO TOOTH SENSITIVITY following the procedure, which makes the experience more enjoyable and comfortable for the patient. Zoom! WhiteSpeed is a process for whitening both the dentine and the enamel of teeth. The process takes approximately 2 hours but it is highly recommended to have your teeth cleaned before the procedure. 02 How does Zoom! Whiten your teeth and is it safe? The Zoom! Light activates the hydrogen peroxide in the special whitening gel which allows oxygen to enter the teeth and bleach the discoloured material. Tooth whitening under the supervision of a dentist has been shown to be completely safe. However, tooth whitening is not recommended for children under the age of 13, pregnant women, or breast feeding mothers. 03 How does Zoom! teeth-whitening feel and how long does it last? Most people are completely comfortable, allowing them to watch T.V or listen to music through the procedure. Some tooth sensitivity may be felt but this is usually temporary. Provided the post whitening instructions are followed your teeth should remain permanently whiter. We give you a top up whitening gel can be used to keep your teeth white and bright over time. 04 What causes tooth discoloration and do many people have their teeth whitened? Teeth become more yellow as we age, but many foods and drinks can also discolour teeth such as tea, coffee, red wine, and smoking. Some antibiotics or too much fluoride taken at a young age can also cause discolouration. If you would like to book an appointment for ZOOM! WhiteSpeed teeth whitening, please call us today.